- Disaster management (or emergencymanagement) is the creation of plans through which communities reduce vulnerability to hazards and cope with disasters. - District Off site emergency Plan for Chemical disaster. Disaster Management Planning is of foremost importance in a report as it explains the means and measures proposed to be taken at the time of any eventuality in the complex / unit / project. Disaster Management Plan explains both manmade disasters and Natural Disasters. "Prevention is always better than cure." Hence, it is important for any individuals, say in industries or building to prepare themselves for any kind of emergency. Disaster Management Planning Services provides strategic planning for both on site and off site disaster, with equal emphasis on both natural and man made disasters. Disaster management(or emergency management) is the creation of plans through which communities reduce vulnerability to hazards and cope with disasters. Disaster management does not avert or eliminate the threats; instead, it focuses on creating plans to decrease the effect of disasters. Emergency planning is an integral part of the overall loss control program. It is important for effective management of an accident/incident to minimize losses to people and property, both in and around the facility. 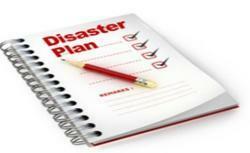 We help our clients in arriving at the various possible and suitable Disaster Management Plans. To examine the protection measures that are already incorporated and effectiveness of measures in respect of response times, resource mobilization, dispersion etc. and suggest corrective actions to be taken. A natural disaster is the effect of a natural hazard (e.g. flood, tornado, volcano eruption, earthquake, or landslide) that affects the environment, and leads to financial, environmental and/or human losses. On the other hand, a man-made hazard is a threat having an element of human intent, negligence, or error, or involving a failure of a man-made system. Risk Analysis and preparation of Disaster Management Plan. The purpose of DMP is to give an approach to detail organizational responsibilities, actions, reporting requirements and support resources available to ensure effective and timely management of emergencies associated to production and operations in the site. Management planning is the process of looking at a company’s goals and creating a plan. The basic step in the process is creating a road map to meet its goals. This course offers training in the fundamentals of the emergency planning process, including the rationale behind planning. It will develop your capability for effective participation in the all-hazard emergency operations planning process to save lives and protect property threatened by disaster.